The Naucalpan Cable Car will join the Mexicable system (pictured) in helping enhance transport for urban residents in Greater Mexico City. Image by Presidencia de la República Mexicana. After the success of Mexico’s first urban gondola, the Mexicable, the country’s capital city is preparing to embark on another large cable car project. The concept of an urban gondola has been floating around for the last few years in Naucalpan, a municipality located northwest of Mexico City, but reports now suggest that the US$105 million (MXN$2 billion) system will begin construction in the first quarter of 2019. At 8.4km in length with six stations, the Naucalpan Cable Car will be 3.5km longer than the existing Mexicable (in Ecatepec) while having one less station. In fact, this upcoming system should be one of the world’s longest aerial cable transit lines built in recent memory — surpassing the likes of the longest top-supported urban ropeway systems in Santo Domingo (5km), La Paz (Blue Line, 4.7km), and Caracas (Metrocable Mariche – Palo Verde, 4.8km). Not so dissimilar to the many urban gondolas in Latin America, the Naucalpan system is being constructed to reach residents living in remote valley communities with poor public transit access. Officials estimate that once the cable car is complete in two years time, it will transport 35,000 passengers per day and reduce commute times by more than 50% (from 60 minutes today to 27 minutes). Riders from the Barrancas de Naucalpan region will have direct rapid transit access to the western terminus of Mexico City’s Line 2 Metro, Cuatro Caminos. Project proponents have also promised that ticket prices will not be more than US$0.80 (MXN$15) and that university students from technical backgrounds such as Engineering, Architecture, and Law will be invited to help design the cable car. While construction is only a few months away, online articles suggest that the station locations have yet to be finalized and it appears that almost no information is available on the route alignment. If any of our readers have a better grasp on Spanish and has more information, please leave a comment below, email us [gondola(at)creativeurbanprojects(dot)com] or send us a message on Facebook. Anglophone reader Paul Travis forwards us this old-school video about ropeway safety in German. Given our still nascent grasp of the language and the importance of cable car safety, we invite our German-speaking friends to help translate. (Google is getting better but we still wouldn’t trust it beyond ‘Please direct me to the local gondola station.’) Thanks! Keçiören Teleferik. 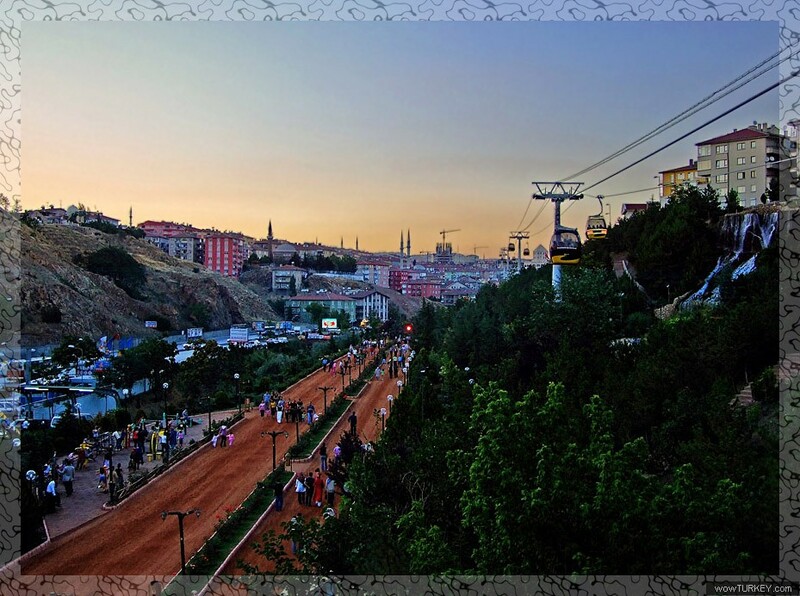 Image by Panoramio user Zeynel Yesilay. One of the great things about blogging on the Gondola Project is that you never stop learning. And this time, thanks to one of our long time followers, Giorgio, we’ve been informed about another urban gondola that’s allegedly been in operations since 2007. This system is called the Ankara-Keçiören Teleferik or simply the Keçiören Teleferik. We’ve tried to do a quick google search on this system but due to time constraints and a language barrier, we’ve only been able to find out very little. What we do know is that the system is reportedly 1.6km in length, has a capacity of 1200 pph, and runs at a max speed of 5 m/s. If anyone has anymore information about this CPT line, we would love to hear about it. In the meantime, here are some more pictures of the system in action. Keçiören Teleferik. Image by http://fatihbozkaya.com/. 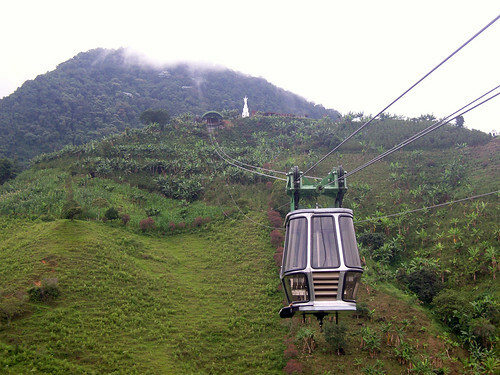 The Cable Aéreo in Jardín, Antioquia, Colombia. Image via flickr user Carlos Chalarca. Here’s one we’ve never seen before in our lives and have no idea what it is or who built it or when. We know it’s located in Jardín in the Antioquia Province of Colombia, but that’s about it. At first glance it appears to be some kind of antique 3S technology, but it’s likely some kind of jig-back Aerial Tram. Whatever it is, it’s different and we’d sincerely appreciate any help people can provide. One of the great things about blogging on the Gondola Project is that we never stop learning. 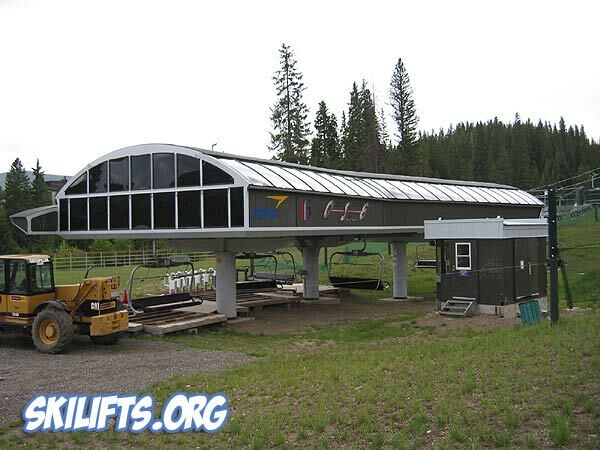 Recently, one of our readers sent us a link about a “Double Loading” chairlift called the Quick Silver Quad which operates in Colorado’s Breckenridge Ski Resort. Statistics from skilifts.org indicate that this system has a capacity of 3,600 pphpd and was built in 1999. Since this feature is very rare (it’s the only example in North America), there’s little information about it online. At this time, it’s unclear what implications this might have for cable transit. However, one question that immediately comes to mind is whether or not this design could be adapted in an urban gondola to increase capacity and improve loading times. We’ll try and dig up some more information about it in the meantime but if anyone has more details about this and other similar systems, we’d love to hear about it. Thanks! We’re conducting some specific research right now on cable transit systems around the world with a specific interest in the economic viability of the technology. As such, we’re looking for annual reports, budgets, balance sheets, ridership figures, etc. of whatever systems we can find. Obviously systems that originate and/or terminate in an urban area are of most interest to us, but we’re interest in any such documentation. If you know of any such documents, please forward us a link to them either in the comments or to gondola (at) creativeurbanprojects (dot) com. We are not, however, looking for anything proprietary or confidential – please, only send us files/links to documents that are publicly available. We’re not looking to break any laws or violate anyone’s privacy/confidentiality.